Jack W. Hancock, son of Louis Norman Hancock and Sarah Katherine Riley, married to Frankie Lee Straley, then married to Kiva Lou Hays Holley and buried in Tuscola Cemetery, Tuscola, Taylor County, Texas. Jack W. Hancock, 98, passed away Wednesday August 22, 2013 at his ranch in Ovalo. A funeral service will be held at 11:00am on Saturday, August 24, 2013 at the First Baptist Church, Tuscola, with burial to follow in the Tuscola Cemetery. Pastor Dewayne Bush officiating, directed by Fry~Bartlett Funeral Home, Tuscola. A visitation will be held from 5 to 7pm Friday August 24, 2013 at the funeral home. Jack was born November 12, 1914 in Sherman, Texas. His parents were Sarah Katherine (Riley) and Louis Norman Hancock. There were seven children in the family: Muriel, Ruth, Eugene, George, Jack, Katherine and Billy. Shortly after Jack was born, the family moved to a farm bordered by Chateau Creek six miles outside of Sherman. There he learned his love for agriculture. Jack began school in a one-room school named Providence. His teachers were his two older sisters, Muriel and Ruth Hancock. He must have been a rounder because once he crawled out the window of the school and ran home. When Ruth got home that afternoon, she told their mother that she had to make Jack mind at school. Who would know at that time that he too would become a teacher? By the time he was 10 years old, the family had moved to West Texas in search of a new beginning. His family lived first in Redwine, but soon moved to New Home where he worked on his dads farm. He graduated from New Home high school in 1933. Jack attended and graduated from Texas Tech University in Lubbock with a degree in Agriculture. While there he worked at the Tech dairy, rising at 4:30 am to milk 15 cows before going to school. His senior year he became the student assistant to Dr. Harbough, Professor of Veterinary Medicine. After graduation, Jack became the manager and butcher for the New Home Coop Cold-storage Locker Plant. He met and married Frankie Lee Straley on June 8, 1941. She was teaching at New Home at the time. They had two girls: Joy Kay and Jackie Sue. When Jack left the locker plant, he was appointed instructor in the National Youth Association Program as Instructor of Farm Equipment at Tech. He taught agriculture and science for public school as well as to GIs after WWII. He taught Sunday School and regular schools for approximately 60 years. 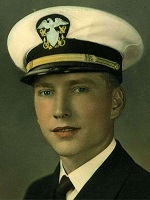 Jack served his country as a Naval Officer during World War II. He received his commission at Columbia University in New York. He joined the Navy V6 Program and taught Recognition (of ships and aircraft) to new recruits at Bitter Creek, VA and Green Bay, WI. Later he served on the APA5 Barnett during the Battle of Okinawa as recognition and assistant gunnery officer. He was discharged in New Orleans on December 15, 1945, having served his country three years. When WW II was over, Jack returned to teaching, farming and ranching. For the rest of his life, he had a hand in agriculture and was a banker with Production Credit for several years. After the death of his first wife, Frankie, Jack met and married the second love of his life: Keva Lou Hays Holley on January 6, 1967. For seven years they ranched, while serving God at home and abroad. Besides his teaching and military service, he was a Mason for almost 50 years and member of the Lions Club 50 yrs. As a member of the Taylor County Farm Bureau Association, he served as president. As Co-chairman he worked to establish the benefits program for farmers. In Taylor County, he served on the Livestock Show committee when the Coliseum was built and was General Superintendent of the Show and Lamb division at various times. As a School Board member of Jim Ned ISD, he served as president and secretary at the time Jim Ned was established through consolidation of South Taylor and Lawn. A countless number of young Girl Scouts knew him as Ranger Jack at Camp Booth Oaks where he served as camp manager for the West Texas Girl Scout Council. In 1997 in Forsan, he was appointed to the Forsan City Council for a short time. He served as deacon in the Baptist Church for over 60 years. As a world traveler, he saw 44 states and traveled to the Philippines, China, Japan, Israel, Egypt, Switzerland, Italy, Mexico, Greece, Canada, and Brazil. He lived a long and healthy life, never losing his ability to speak publicly with humor and intelligence. He shared his war experiences with the students of Forsan High School when he was 92, and received the Veteran of the Month award on his 93rd birthday in Big Spring, where he spoke over an hour about his life, the war, and his God. He was a devoted husband, father, grandfather, counselor, and a real friend to man. Most importantly, he loved his God. He has said again and again, "I met the greatest man who ever lived when I was 12 years old, and I have always tried to follow His footsteps; that man is Jesus Christ." He was an exceptional man who knew how to live. His family and friends will miss him greatly and will be challenged to match his example. 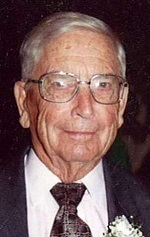 Jack was preceded in death by parents, wife, Frankie Lee Straley Hancock, wife, Keva Lou Hays Holley Hancock, is six siblings and his son-in-law Tommie Wayne Henry. In lieu of flowers the family asks that donations can be made to the Jack and Keva Hancock endowed scholarship, c/o Hardin Simmons PO Box 16100, Abilene, Tx 79698 or the Jim Ned FFA program, 830 Garza Ave, Tuscola, Tx 79562.